CVA Boston 2, pl. 079. 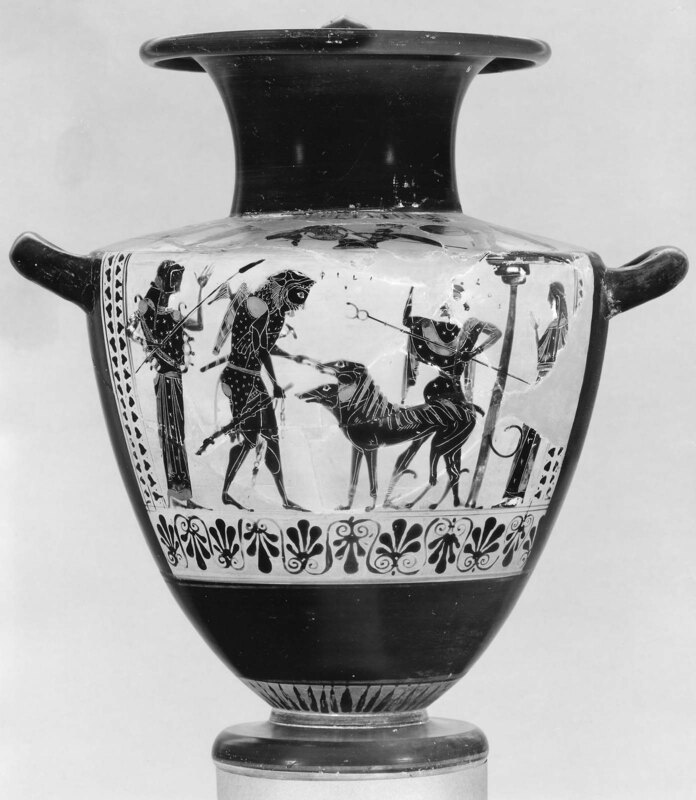 Herakles leading Kerberus. Hermes and Athena looking on. Persephone stands within porch of Hades indicated by a column with epistyle. 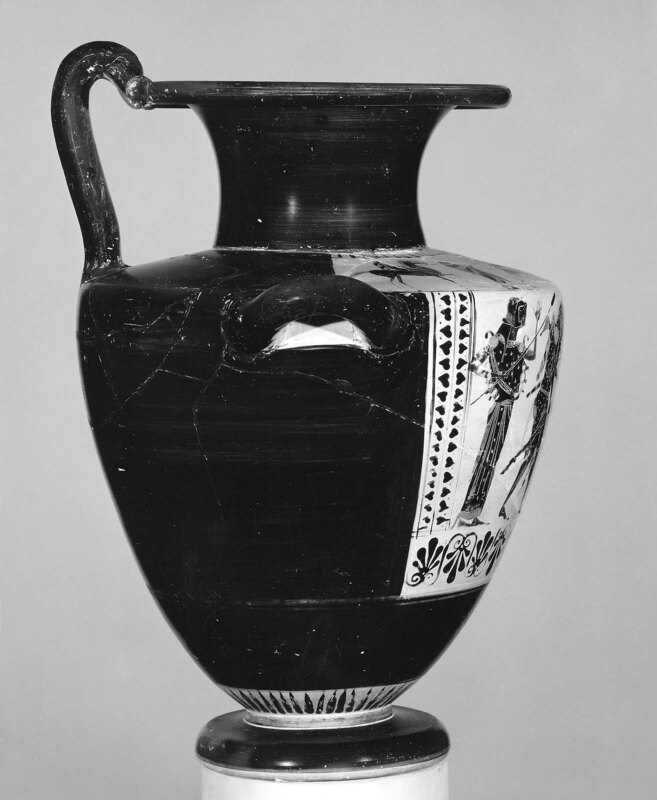 Greek inscription in the field beggining above the head of Heracles, ‘Philos is handsome,’ (PI[LOS] [KAL]OS). On shoulder: Two warriors in combat; two draped figures and two horsemen looking on.